Guest post 2018-01-29 Country, Technologies. Choosing the best software development company for your project is difficult and depends on many aspects. What are the main deciding factors? Budget and timeline are two. The third deciding factor—that of the possible discrepancy between what is promised and what is delivered—is far more difficult. The best software development company fits in with team expertise and communications. How can one determine whether or not the company selected will deliver on time and within budget? Many outsourcing companies’ websites promise the same or similar expertise and value for money. Will the company live up to its promises when the rubber meets the road? Below is a roadmap to help you navigate through outsourcing software development landscape minefield to find the right software development outsourcing company. Decide what you want, when you want it and how much you can pay. Before you start, determine the scope of your project and create a set of requirements—the shorter and more precise the better. Also, include both budget and timeline (neither must be accurate, just an estimate). Software development requires coordinating different skills at different stages in order to achieve the maximum progress within the planned timeline. Using precise requirements, a development team spends less time delving into the minutiae, clarifications, and corrections. Instead, they focus more on the core. Certainly, you can outline the general vision of your app and address it to the companies. A project management or a business analyst will be happy to help you with requirements. However, it takes time and development might start later than expected. Even if you outsource every process, you must schedule time for daily/weekly meetings (depending on the development intensity) with the outsourcing team in order to decide upon different assignments and provide your feedback on the job done. Important note: The release is never the final stage. You will need a post-release person (or a team) responsible for the app to function smoothly on user devices and react to any changes like smartphone OS updates or security notifications. They can be the same development team or any of its members. After you have compiled your list of requirements, it is time to find an outsourcing IT company. Go online – information about offshore development companies is usually available through their websites or through their offices in the USA / Western Europe that can be found via Google search. LinkedIn – the biggest business network worldwide. It enables searching for companies and their representatives, checking out their employees, activities, some of their projects and much more. Upwork, CodementorX, Freelancer – these platforms connect customers to remote development teams or individuals. They enable filtering developers based on their ratings, hourly rates, skills, as well as post-release tasks of any size and range, even just small bug fixes. Clutch.co – a research company based in Washington D.C. that creates ratings of development companies based on reviews from the companies’ clients and the scope of the projects done. Each company has its own profile with a portfolio, descriptions of its services, technical and industry focus. When you like a company, look at its website and social profiles closer. Portfolio. Do they provide any client feedback? What are the names in the portfolio? How did the company help its clients? What was the project size? What was technological complexity? Services. What is the company’s experience? Does it provide niche development or a kind of “one-stop-shopping” services? Also, find each company’s social network profiles and check out people working for the company. Do they have much experience? When the company employs experienced developers, has quality content, and its portfolio provides enough credibility, then add it to a list. The result of the research is a short list of ten software development companies. Communication Skills. Get in touch with the companies on your short list. Send them your requirements and look at their response. Response time – how quickly did they respond to your email? Up to three hours—excellent. Within a day—okay. Longer—cross the company off your list. Accuracy. How well did they understand the requirements? How “raw” is the estimate? What points does it include? Questions. Do the company’s representatives have any questions? Usually, they do. Do they provide any options based on how they interpreted the requirements? Apart from a sales manager who introduces the company, there should be a project manager on the call who prepares the estimate. He or she asks questions in order to provide the most suitable options for the projects. Is the company able to quickly expand the team? This might be needed when the product must pivot or needs to get to the market as soon as possible. Also, when the company has a limited number of Clutch reviews, ask them for additional references. Before the end of the call, the company gives you a plan of what they can do within your budget. If they struggle, cross them off and move on to the next. Decision Time. Finally, you choose one company that provides you with the best options and a transparent development plan and creates trustworthy communication. One Final but Crucial Note. As mentioned above, the customer remains an essential part of the development team. The customer is responsible for making all important—and final—decisions regarding timeline, budget, crucial functionality, among other things. His or her timely feedback matters a lot on the project. Invest in communication with your team and in its management. Anthony Suddia is a content specialist at IT Craft. 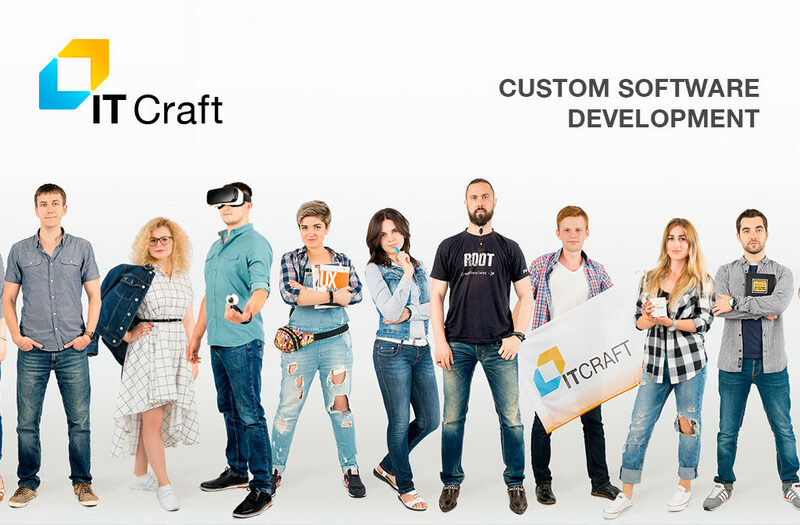 He focuses on topics where IT Craft’s experience in custom software development helps readers figure out an answer to their managerial or technical questions. Also, he enjoys writing about how cutting-edge technologies make people’s lives more comfortable.